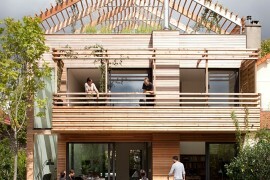 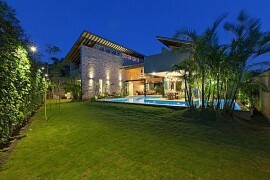 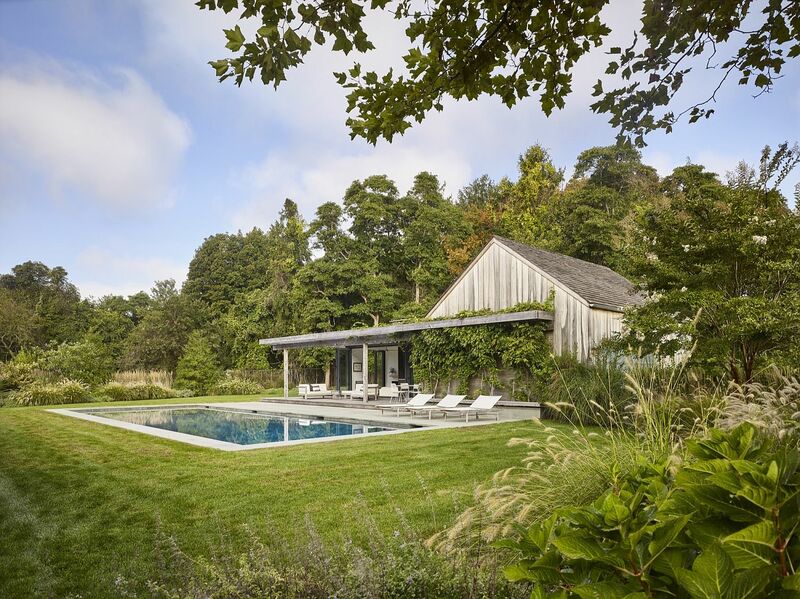 Most beautiful homes and structures start with a design conundrum. 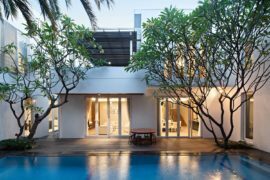 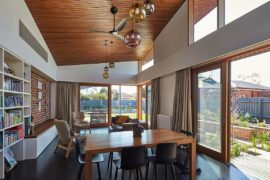 Instead of viewing it as a hindrance smart architects and designers find clever solutions that overcome the hindrance in grand style. 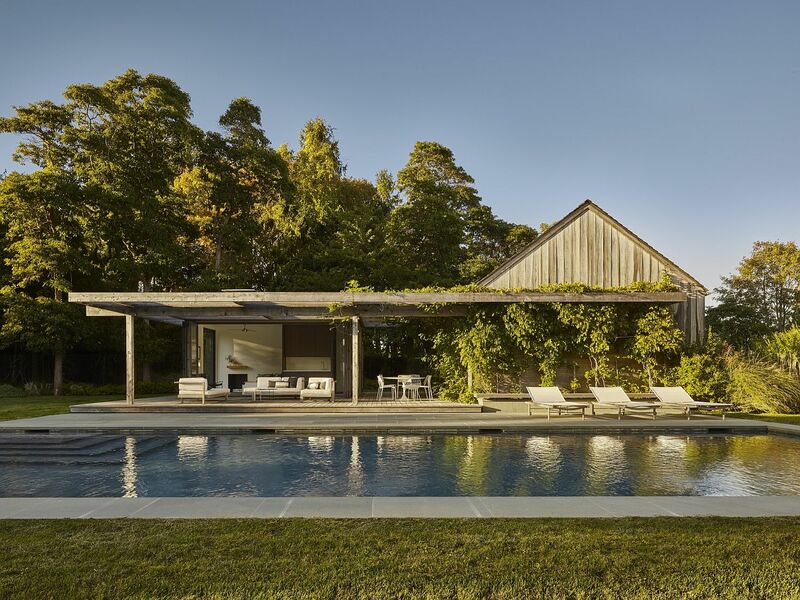 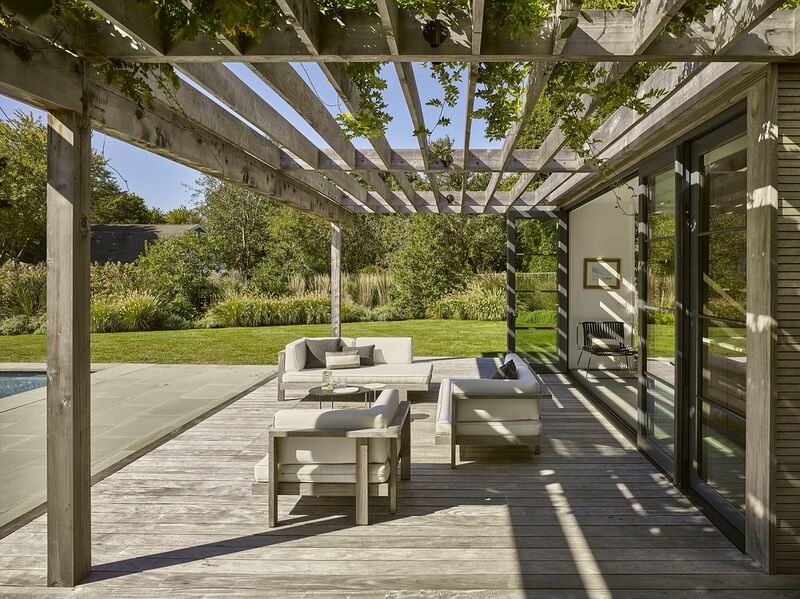 Created by Robert Young Architects, this small and efficient pool house in Amagansett, New York is one such structure that maximizes space while adhering to local pool house building codes. 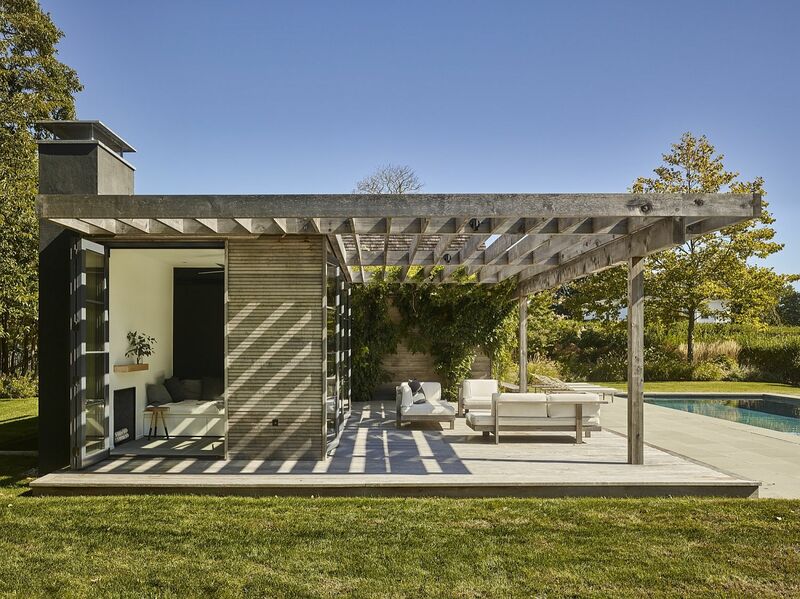 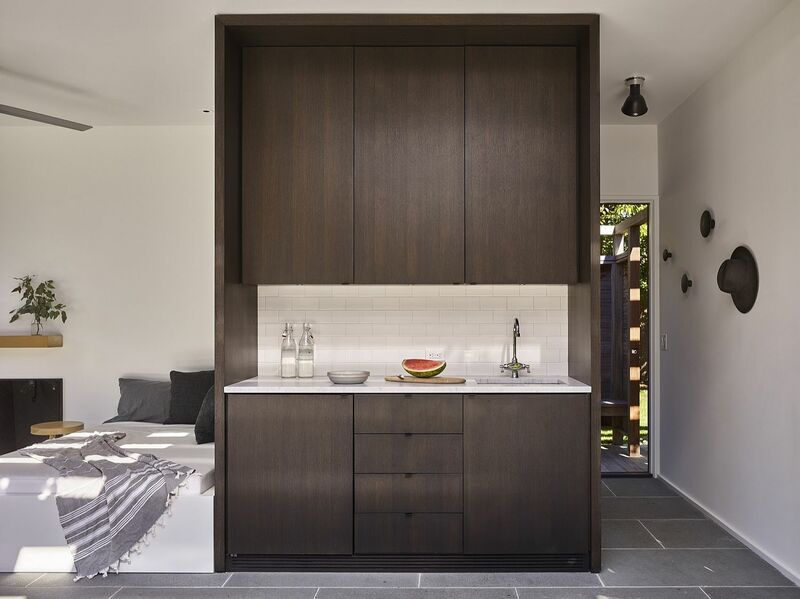 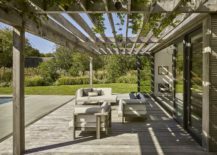 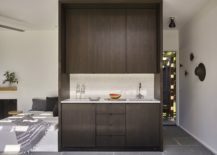 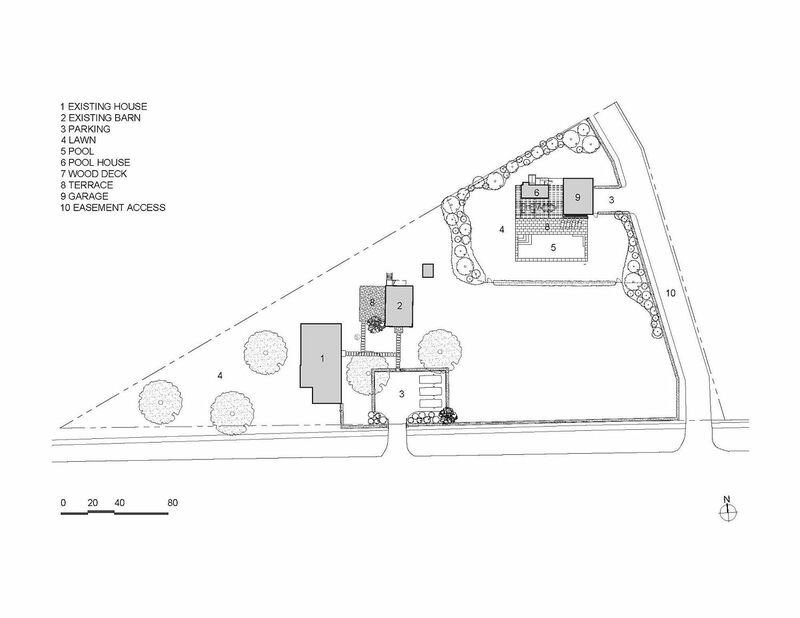 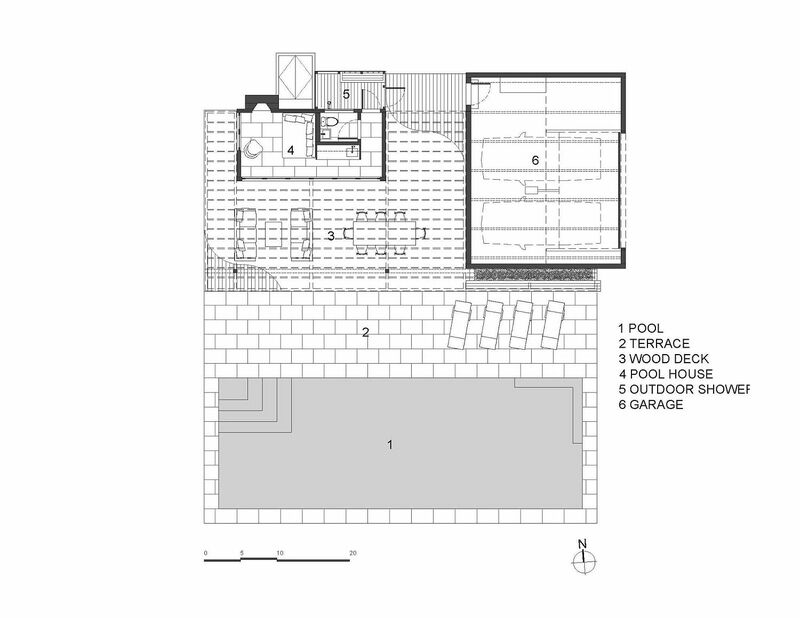 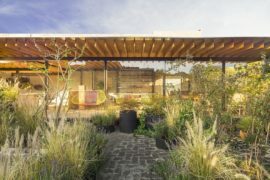 With local construction code of Hamptons allowing only a maximum of 200 square feet of construction area for pool houses, the architects had to squeeze in all the required facilities in the limited area. 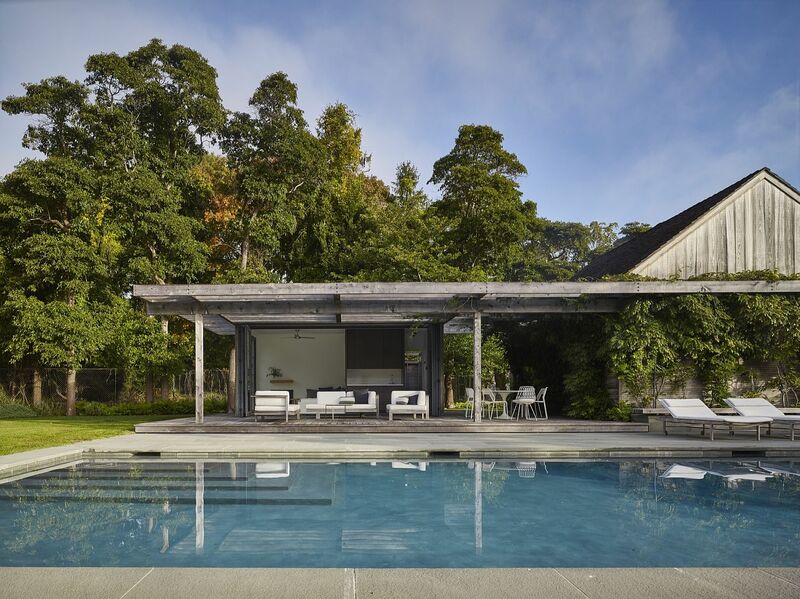 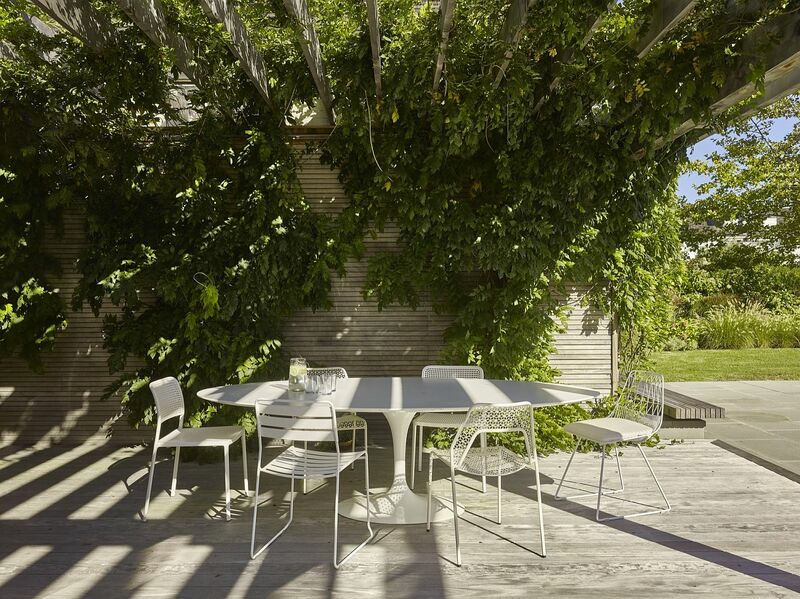 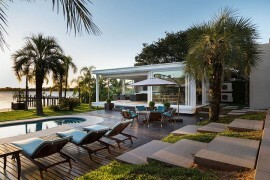 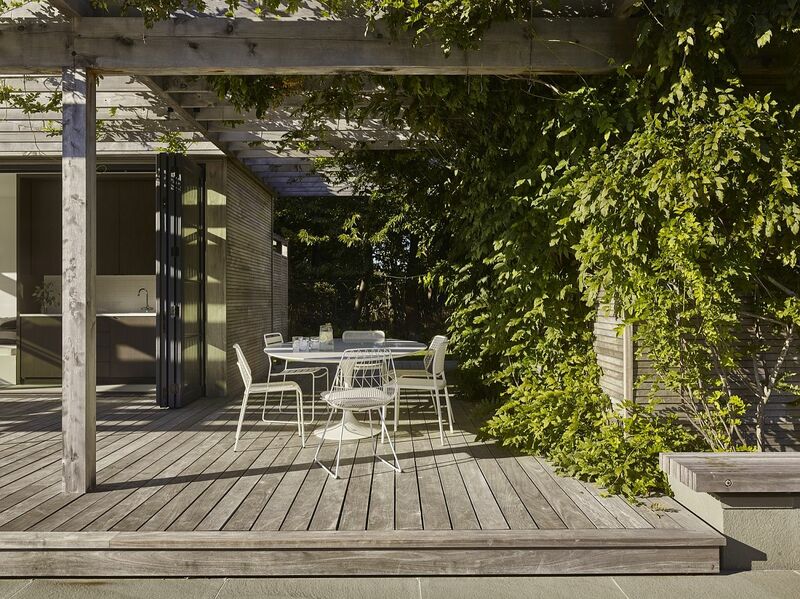 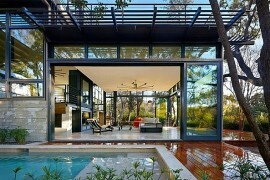 Pool House accomplishes this with effortless panache! 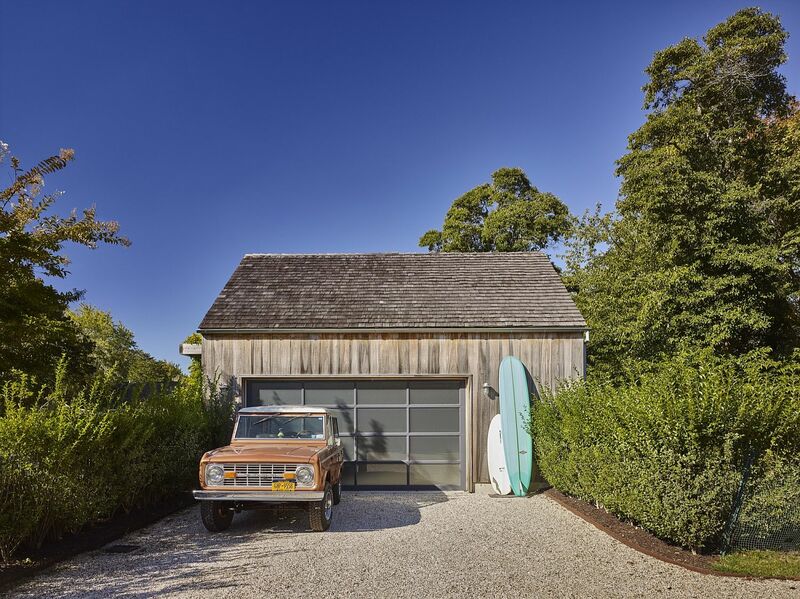 A trellised area, designed for lounging and relaxing, connects it to a garage, where this family keeps all their beach-going essentials, from surfboards to Jeeps. 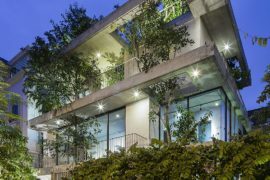 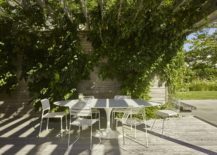 Natural elements, from marble to bluestone to wisteria vines, connect the space to its environment.